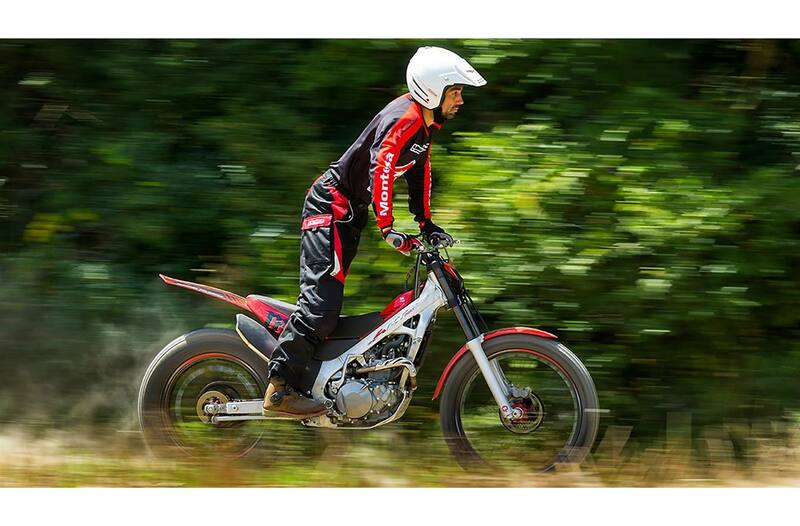 Honda Unicam power: The Cota 4RT260 uses an exclusive Honda 259 cc liquid-cooled 4-valve Unicam engine that was designed and tuned specifically for the unique demands of trials riding, including the need for ultra-strong low-rpm power. Power boost: A high-pressure fuel pump helps to boost midrange and top-end performance while maintaining the engine's excellent power delivery at low rpm. 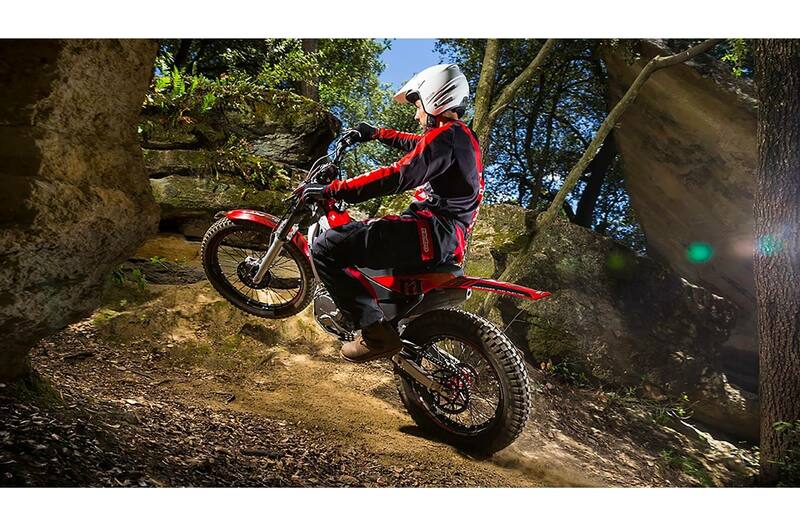 Easy to modulate: Programmed Fuel Injection (PGM-FI) with a narrow, high-velocity 28 mm throttle body ensures rapid fuel/air flow and precise cylinder filling, resulting in crisp power delivery that's easy to modulate—so critical in trials riding. 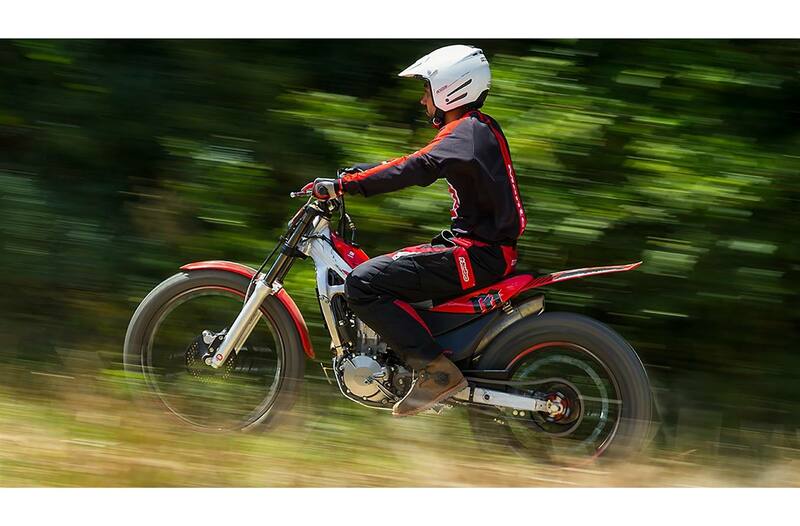 Battery-less ignition: Battery-less digital ignition includes a bank-angle sensor to switch off the ignition when the motorcycle is lying horizontal. Linear power curve: Precise mapping of the ignition system's ECU gives the engine a consistent power curve, particularly in the low and mid ranges. Reduced engine braking: A crankcase decompression system limits engine braking when closing the throttle for improved rider control, making the bike feel lighter and easier to handle. Optimum fan placement: The radiator fan is positioned in a manner that promotes evacuation of dirt, pebbles or other objects and prevents blockage of the fan itself. Smooth, accurate shifting: Gearing in the close-ratio five-speed transmission was selected to perfectly match the engine's powerband so you always have the perfect gear for whatever section you're riding. Dual Map ECU: Traction different from one section to the next? No problem. The Cota's ECU lets you choose between two ignition maps with the flick of a handlebar-mounted switch. 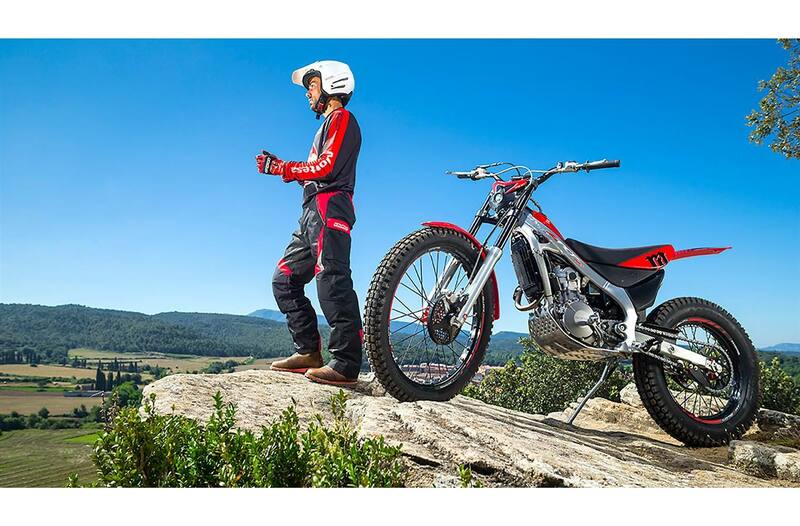 Classic quality: The Cota 4RT260 features an aluminum chassis with a gorgeous finish, showcasing classic Montesa styling and impeccable manufacturing quality. 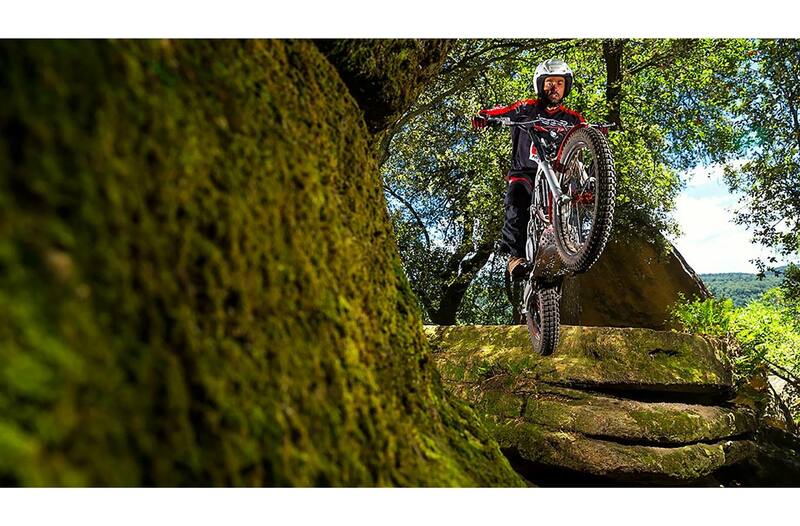 Premium suspension: A 39 mm TECH cartridge-type adjustable fork provides 175 mm (6.9 in.) of travel. The Repsol Race Replica edition steps up to a premium Showa competition-spec fork. Tight packaging: Every component was painstakingly designed to be as compact and to fit as tightly as possible, resulting in a bike that's incredibly svelte and smooth, with a minimum of jutting surfaces to inhibit your movement. Pro-Link performance: At the back, the Pro-Link suspension features an adjustable R16V damper and 170 mm (6.7 in.) of travel, while the Race Replica edition features a competition-spec Showa adjustable shock. Traction and handling: Dunlop D803GP tires provide incredible traction while also giving the Cota more-responsive handling. Innovative rear wheel: The 32-spoke rear wheel features an innovative system incorporating central-adjustment spokes for a significant weight reduction. The system also allows the Cota to use a tubeless rear tire. Strong and light: Compact and lightweight front brake system uses a 4-piston caliper (monoblock on the Race Replica edition), 183 mm rotor and sintered metal pads. The rear brake features a 2-piston caliper, 150 mm hydraulic disc and sintered metal pads. Secure grip: Wide, adjustable footrests provide extra grip and confidence in the toughest sections. 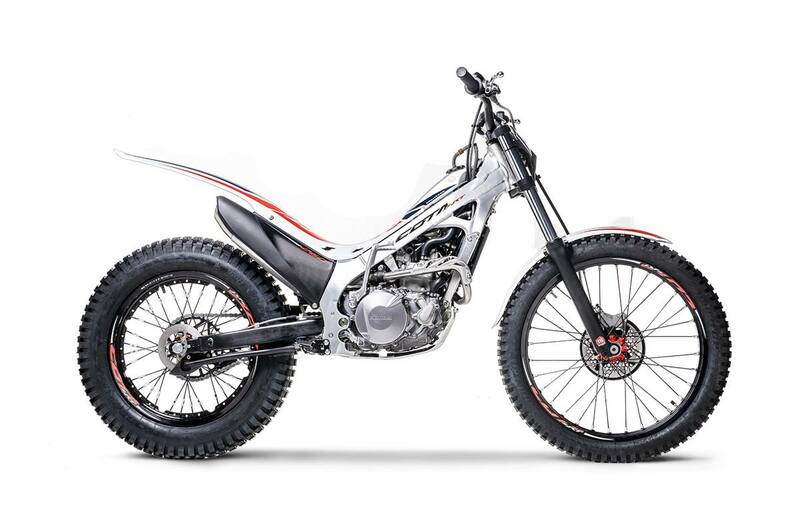 Best of both: Weighing just 74.3 kg (163.7 lb) with fuel, the Cota 4RT260 is a cutting-edge trials bike—the perfect combination of Honda's engine technology and Montesa's world-championship trials experience. Removable seat: The 4RT260 includes an easily installed additional seat that incorporates a handy storage area, so you can use your Cota for both serious competition and fun play riding. Carbon-fibre protection: The Repsol Race Replica edition comes equipped with beautiful carbon-fibre guards on the fork, engine cases and muffler that look trick and provide additional protection.